Custom Cabinets by Elegant Woodworks Inc. 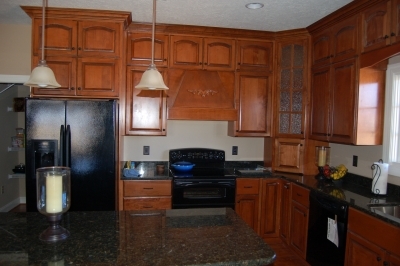 Elegant Woodworks has been building quality kitchens since 1999. We are a local company comprised of caring craftsmen serving the local community. We can assure you the attention to detail that is simply impossible with pre-manufactured cabinetry. Our products are built specifically for your application; therefore, you are not locked into the sizes of pre-built cabinets. We use the finest materials combined with the most advanced design and kitchen layout technology to produce cabinets that are high quality at the best possible price. We use only the finest quality components, drawer slides and pulls from leading suppliers to the industry. "Here at Elegant Woodworks, we strive to provide finely crafted cabinetry, a cut above the industry norm, at a very affordable price. We warranty our products against defects in materials and workmanship." We are a large enough company to handle virtually any project, but small enought to offer you personal contact and service. We still use skilled woodworkers who can practice their craft free from the demands of a factory production line. We combine the quality of the past with the productivity and efficiency of the New Economy. You, our customer, benefit from this combination. Your kitchen is one of the most used rooms in your home. You will use it everyday, several times a day. 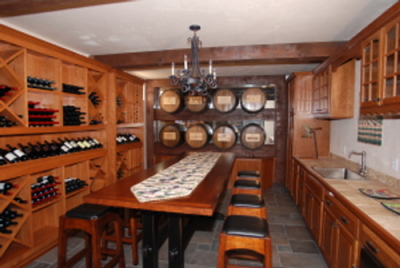 It only makes sense to trust this important room to a builder whose very livelihood is based on supplying quality cabinets, a company like Elegant Woodworks. Below is a brief list of just some of the questions you may want to consider before making any decisions. What are you looking for in your new kitchen? Would you like to have more storage space? Would you like more counter space? Soon we will have a thorough learning center to provide you with answers to most of your common questions; pages and pages of insightful material, covering all aspects of our products and services for your new profject from start to finish. The learning center is a project of ours that is currently under developement, there are pages currently available online already. Just Click Here To Check It Out! Or choose from the menu on the right: "Learning Center"